Espresso is actually a relatively modern phenomenon, only invented at the turn of the last century, by Luigi Bezzera, who wanted to make a coffee for one, ‘espressly’ or, in other words, quickly! No one specific type of coffee bean must be used in an espresso, so you are free to experiment with whatever works for you best. For example, when in Italy where it all started, the further south you travel, the darker the roast is, whereas in more Northern parts it is traditionally lighter in color. Each produces a distinctive flavor, and its up to you decide which you like best. Nowadays of course, the espresso has taken on a life of its own, away from Italy and continues to rise in popularity, particularly in the United States, where it is mixed with syrups, cream and various flavors all to create something completely unique. 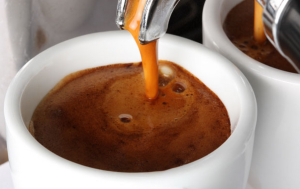 Smaller than a “standard” coffee and with more caffeine per gram, the espresso forms the basis of so many other great coffees, the latte, the Americano, the macchiato, mocha, and of course the cappuccino. 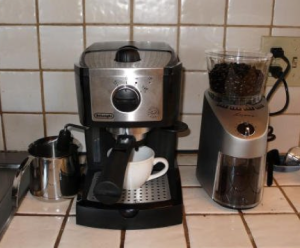 So when it comes to finding a decent home espresso maker, for under $100 generally speaking, we wondered if it was even possible. 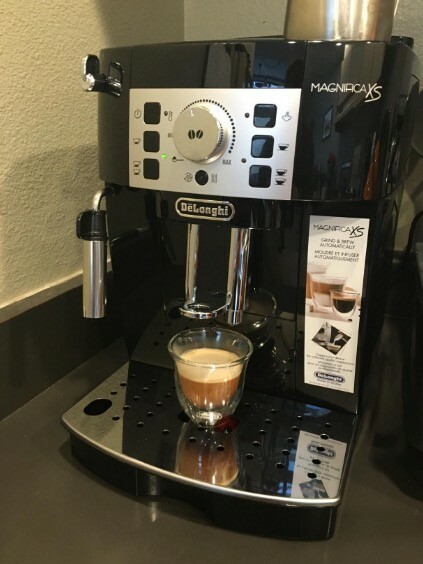 We decided to try out the De’Longhi EC155 15BAR. First off, let’s look at the design. This is a seriously nice looking bit of kitchen kit, fusing both black metal and plastic together stylishly with silver colored accents. It looks the business in any kitchen or home. 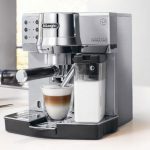 One of the best features this appliance comes with is the three-in-one holder with space for one espresso shot, holder for two shots and another one for the easy option of using an espresso pod. 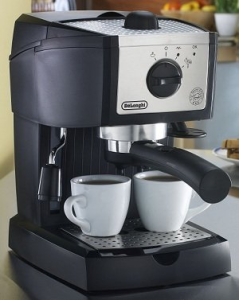 The dual function filter holder is actually patented by DeLonghi. So you can either use ground (maybe grind your own using the sister machine De’Longhi Stainless Steel Burr Coffee Grinder) or you can opt to use a pod. This choice is especially welcome for those who may feel a little daunted of initially making their own espresso, but feel they may work their way up to it, given time. 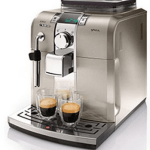 Either way, you will quickly be brewing delicious espressos in seconds – approximately thirty seconds to be precise, which is pretty speedy in anyone’s book! Ease of use? Absolutely. This machine is nice and friendly to use and not the noisiest either – given how loud some espresso/cappuccino makers can be. It is not at all faffy – after all, you’re going to be operating it before you have your caffeine fix in the morning! 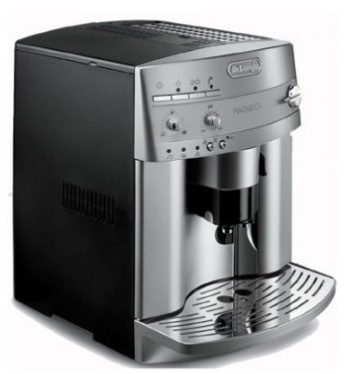 The dual thermostat control ensures both the water pressure and the steam levels are just right – different temperatures for your steaming hot espresso or just mellow and warm for your cozy cappuccinos, something some of the other models neglect. One of the delightful features of this espresso/cappuccino maker is that you can custom style your own foam with the manual control frother, to really texture your own cappuccino like a true barista. The sheer speed also cannot be faulted – the thirty second turnaround time in delivering a caffeine hit to the coffee deprived is laudable and just what is needed first thing in the morning! Cleaning it is not a big deal either. The drip tray is easily detachable and so is the 35 oz water tank. It reassembles pretty well, too. One thing to bear in mind (and this is mentioned by the maker) is that it will need some de-scaling from time to time, to keep it in tip top condition and free of lime scale clogging. This machine has been credited for producing some of the thickest and best home made foams it’s possible to buy, so it is well worth a try just for that alone. The 15 Bar pump system ensures more than enough power to keep the coffee coming fast and full of the flavor you expect from an espresso. 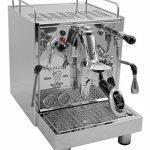 If maintained correctly, this machine should provide you with years of trouble free and fantastic espressos and cappuccinos. For under $100 (depending where you buy), this is pretty much as good as it gets for a home made espresso machines. You can simply pop a pod in and enjoy fabulous coffee at the simple touch of a button. Want to get a bit more creative? Grind your own coffee from beans and brew them with a custom made crema foam topping. So, are there any downsides aside from occasional de scaling? A few minor niggles about the level of the milk steam arm being slightly inconvenient to use aside, there isn’t too much to put us off choosing this machine, as the best bet for the under $100 buy. 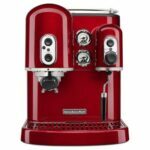 Yes, if you are a serious and raging espresso snob, it is possible that this machine will fail to please and probably, nothing less than a flight to Rome, will suffice for your authentic Italian coffee imbibing experience. For anyone else, however, who is thinking of getting an espresso or cappuccino maker for the first time and generally just loves good coffee, this is a great buy. Along with its sister, the DeLonghi Stainless Steel Burr Coffee Grinder, they make the perfect duo for both grinding and then making an excellent espresso in seconds flat. 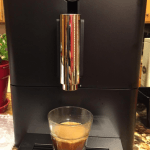 For under $100, it is the best entry level espresso maker you are going to find. The average Amazon EC155 reviewer gives this maker at about four out of five stars. That may be a little harsh given how much performance it can be realistically expected to purchase for less than $100. There are no really glaring faults with this coffee maker. Of course, a more expensive machine is going to get you more swish features. We would therefore award it 4.5 out of five for all over coffee experience, including style, performance, usability and durability as well as of course value.